I’m pleased to announce that the DotNetNuke 7.0 Community Technology Preview is now available for download. If you aren’t quite sure what we mean by Community Technology Preview or CTP, I would suggest reading “What’s in a Name?” by DotNetNuke Co-Founder, Joe Brinkman. Just to be clear, this is not a production quality release and only intended to be used for testing and evaluation purposes. The CTP release will allow us to collect valuable feedback on key functionality early in the release cycle so that we can incorporate that feedback into the final release. Please take a few minutes to learn about some of the key items in the DotNetNuke 7.0 CTP. The first thing you will notice is that the installer has been updated. Not only have we updated the look and feel, but we also simplified the overall install process. You shouldn’t have to click through a series of screens in order to just get your website running. With the 7.0 installer we have taken an approach that allows for the application to be installed quickly, but also provides you with the ability to configure advanced features if you wish. In the 7.0 CTP you will be able to experience the new install process and hopefully save yourself sometime along the way. 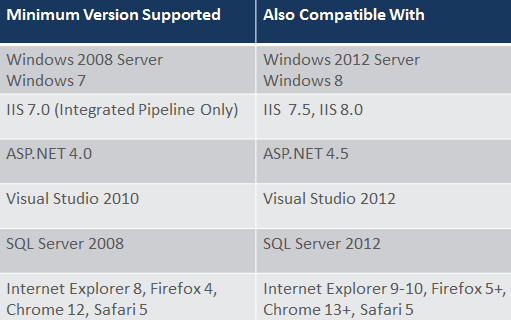 In DotNetNuke 6.2 we introduced the Service Framework based on Microsoft MVC. As Shaun Walker mentioned in his blog a few months ago, we had the need to convert the Service Framework from MVC to Web API. This has been completed for the 7.0 CTP and is ready for testing. Scott Schlesier will have a series of blogs over the next few days that will provide you with everything you need to know about updating your services for 7.0. The Default CSS in DotNetNuke has been completely overhauled. Ryan Martinez, UI/UX Designer for DotNetNuke Corp, does a great job explaining the reasoning behind these changes and what it means for designers. This is an area where we need a lot of feedback. If you are skin designer, module developer or just have a site using a third-party skin, we want to hear from you! Check out Ryan’s Blog to get the full details on the Default.css Facelift. The skin that you will see in the 7.0 CTP is our new developer and admin skin. This is a very lightweight skin that has been optimized for performance so that we can provide administrators with the best experience possible. Don’t be surprised if you run into few bugs along the way as we are still working out a few issues with the skin. 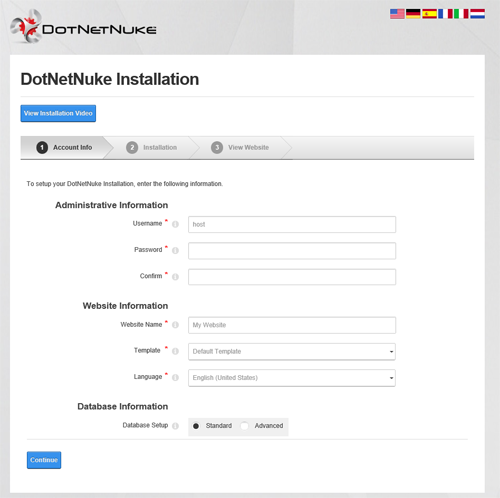 With the 7.0 release, DotNetNuke has changed pre-requisites for installation and upgrade. These are required for a number of reasons, but primarily so we can utilise the Web API from Microsoft and leverage some additional new capabilities of .net 4.0. Download DotNetNuke 7.0 CTP and start using the product. We are looking forward to your feedback!